Advanced Equities is helping concentrated photovoltaics (CPV) systems vendor SolFocus raise its Round E of venture capital financing. Advanced Equities calls itself a "Venture Capital Investment Bank" and relies on its network of accredited investors and high-net-worth individuals to bring funding to long-in-the-tooth startups hungry for capital. Advanced Equities has been called in to fill out the massive fundraising efforts of Fisker Automotive, Bloom Energy, and Serious Materials -- to name the most prominent offenders. Advanced Equities allows VCs such as Kleiner Perkins to fill out venture rounds for their capital-hungry portfolio firms with less dilution of equity than would be imposed by a conventional venture partner. SolFocus CEO Mark Crowley made his pitch for funding on a teleconference with the help of Advanced Equities and Randy Avon, a former member of the Florida House of Representatives and current CEO of Asia Pacific Development Corp. Avon was involved in closing the deal SolFocus made to develop a 450-megawatt solar project in the border region of northern Mexico. SolFocus is raising $35 million, of which existing investors NEA, NGEN, and Apex are in for $15 million. The news from the conference call is that the Round E is being done at a $30 million pre-money valuation, which essentially means that this is a recapitalization of the firm and that some earlier investors will be washed out of the deal. This would also impact employee shareholders, as well. Post-money valuation is north of $100 million, according to the CEO, due to convertible debt issues. Crowley noted that NEA is the firm's largest investor and has put $60 million into the company since 2006. Scott Sandell of NEA is on the board of the firm. "Total investment to date has been $230 million," according to the CEO. It appears that SolFocus is betting the farm on this project in Baja California near Tecate, Mexico, right on the U.S.-Mexico border. At 50 megawatts with the potential to expand to 450 megawatts, it could easily be one of the largest CPV developments on earth. 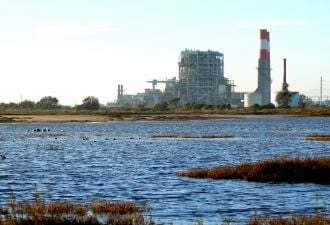 The largest currently operating CPV power plant in the world is the 30-megawatt Alamosa project with hardware from the struggling CPV firm Amonix. The Tecate project is planned to be built in 50-megawatt blocks, with construction for the first block starting late this year. The power plant will be owned and operated by SolMex Energy. Asian Pacific Development Corporation is helping coordinate the project, as well as the debt financing from financing firm FINEXIM, which has allocated $720 million to the first four of nine 50-megawatt tranches of the solar project, according to William Beilman, Managing Director of FINEXIM, quoted in a press release. The power plant could deploy 3,850 SolFocus systems on the 300-acre site. According to Nancy Hartsoch, VP at SolFocus in an earlier interview, "There is no subsidy regime in Mexico. They do have accelerated depreciation for renewable projects, but that is about it, so solar projects have to stand on their own. Energy prices in Mexico are complex, and go from very low for some segments (industrial, agriculture, etc., are highly subsidized) to extremely high for others. Baja California has some of the higher energy costs. Also, energy prices fluctuate month to month, so that is also a challenge for the region." As Crowley said in the conference call, "The Tecate project is critical to the future of the firm." Crowley informed listeners that "after six years, we have a commercially proven product with over twice the conversion efficiency of regular solar." Crowley also noted that Spectrolab, JDSU, and Solar Junction are certified suppliers of the triple-junction compound semiconductor solar cells. Crowley cited the firm's outsourced manufacturing model as one of the reasons for its panels' low cost. The SolFocus CFO was on the call as well and noted that 2011 revenue was $9 million; 2012 revenue was going to be $24 million and an inflection point for the company. 2013 was going to be the break-even year, with 2014 showing 20 percent gross margin and 2015 showing 25 gross margin at a run rate of 150 megawatts. The Tecate project "represents about half [of the firm's] 2013 and 2014 projections." When asked about cost per watt, Crowley said that the firm doesn't sell watts and its customers are "more sophisticated than that." His customers buy kilowatt-hours and want information on levelized cost of energy (LCOE), not cost per watt. He said, "We are performing for SDG&E at a PPA price of $0.115" per kilowatt-hour, and the firm expects to break $0.10 per kilowatt-hour. 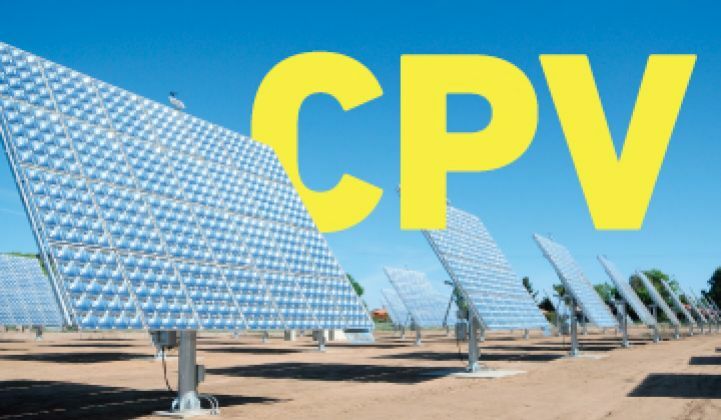 The competition for CPV is still flat-panel PV, which has large-scale installations quoting all-in system prices of below $2.00 per watt. Or more realistically, the competition is natural gas, along with its cheap price in the short and medium term. Randy Avon, who frankly sounded more like the politician he was and less like the project developer he purports to be, said one of the reasons that his group selected SolFocus was "because of [its] financial stability."